Dictionary says: putting off or delaying something requiring immediate attention. I define it as: a lack of action; putting off something you want, need, and/or believe you should do. • You Believe You Have To Do Something Else First. I love this one! It’s when you think you have to complete x, y, & z, but there’s a reason why you can’t do x, y or z right now and it sounds totally legitimate. So you wait until you can do x, y, z or wait until someone else can do it for you, and then you’ll be able to finally do “IT”. • You’re Not Inspired To Do “IT”. This is when you’re planning to do something b/c you think you “should” do it. It’s part of a plan, system or program that you believe will help you achieve your goal(s). But you have no interest in doing it, it doesn’t motivate or inspire you and you have no emotional connection to it. Conventional, traditional methods to stop procrastination don’t work for everyone. They have never worked for me. Have they worked for you? “Just Do It”, “Eat the Frog” – while these techniques & philosophies work for some people –- they don’t work for everyone. There’s a huge gap between knowing what to do – and actually doing it. They’re not the same thing. And while I’m a huge proponent of prioritizing, goal setting and breaking up projects into smaller bite-sized tasks, those strategies still don’t actually get anyone to pull the trigger. When there’s a stronger pull for you to put “IT” off & do anything else – sit on the couch, watch movies, play hooky – you need more powerful weapons in your arsenal beside, “just do it”, “push through”, “this is a priority”. One of the most debilitating things procrastination does to you is that makes you beat yourself up. Makes you feel like you’re weak – lacking discipline and will power. When that’s not what’s really going on. These conventional, traditional solutions to the procrastination conundrum all require you to expend a ridiculous amount of effort and energy without really understanding what’s CAUSING THE PROBLEM. They all address the symptoms and make you feel bad about yourself in the process. I may be out here on this limb – all alone – but I need something more than motivation and inspiration to pull me toward the action I know I need to take. Pushing me toward it is only going to make me resist and feel bad about myself for doing it. Because here’s the thing, taking action, “just doing it” can be really easy -even effortless – WHEN YOUR GOALS, plan, action items ARE ALIGNED with your INTERNAL OPERATING SYSTEM. But when they’re not, you feel hesitation, resistance, fear, anxiety – you have thoughts of failing, worry you’re going to screw it up, doubt yourself, listen to the fears that say you don’t know how to do it/can’t do it, etc. – so you naturally put it off! Your procrastination is a sign that your Internal Operating System does not match your goals, plan, vision. That’s it. You’ve got to address your Internal Operating System. The best way to get the results is to go straight to your wiring. Stop insulting your willpower & discipline, it’s not their fault & it’s not yours either. There are a few different “programs” that your Internal Operating System (subconscious mind) runs to help you save time and make decisions more quickly. They’ve become such a natural part of the way you see the world that you don’t even realize these “programs” are running. But they are running. And they are running your life. 1. Set Realistic Goals That Stretch You – Your goals need to be a stretch to move you beyond your comfort zone (because that’s where the magic happens), but setting ones that are too ambitious or unrealistic actually set your mind up to believe that you’re failing (which is extremely DE-motivating). This is a pattern that very driven, passionate, purpose-oriented people fall into and it what’s keeps them STUCK. 2. Focus On Your Unique Brilliance – Do what gets you excited, makes you feel inspired & enthusiastic. The etymology of the word INSPIRE means ‘immediate influence of God’. ENTHUSIASM comes from ‘entheos’ – “divinely inspired, possessed by a god”. God whispers to you through your emotions and when you get excited and inspired by it, it’s because it’s what you’re here for. So fill your life with that stuff! That’s what BLISS is. Just because someone successful has a formula that includes “x, y, z” doesn’t mean it will work for you. This “x, y, z” may have been their Unique Brilliance, but if it’s not yours, it won’t work for you, especially if you’re not excited or inspired by it. Find your Unique Brilliance and engage in them, because you have a built in joy factor with the things/people/places/activities/etc. that INSPIRE YOU, you’ll be more likely to take action, less likely to procrastinate. 3. Acknowledge Your Progress. – This is not just a platitude. This is some of the most sage advice you will ever read and I do not say that lightly. There is a very strong “program” that runs through your Internal Operating System that addresses how you look at your accomplishments. I have always been very critical of myself, and if I’m honest, I’m critical of others too. I set very high goals and hold myself to a higher standard to achieve them. I have “always been this way.” I tend to discount anything that is short of what my goals are. I don’t recognize progress. This may sound familiar to you b/c there are a lot of us out there! 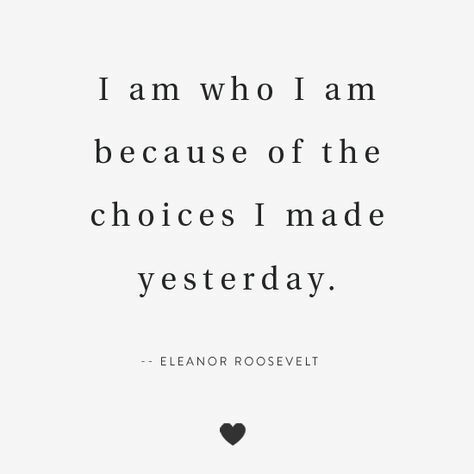 Believe it or not, by constantly holding myself to a higher standard and always recognizing where and how I’m missing the mark, I fail to give myself credit for the progress I’m making. That credit, as it happens, is CRITICAL to building the momentum and motivation I need to keep on moving forward. So instead of using the momentum to fuel more progress and forward motion, I’d have to stop and take a few minutes to calm myself down from not achieving my goal. I was starving myself of this fuel b/c that was the way I was wired. I’ve always heard this advice, but never understood how important it is or why. Now you’ve heard it. You’re welcome. As with anything in life, the more you invest in yourself with your time, energy and money, the more you commit to it. I’ve done a lot of work in this area in my own life b/c honestly it’s kept me from attaining the level of success I know is possible for me. So I’ve been checking out my Internal Operating Systems and making changes to the programs that are not serving me. I’ve had such an amazing experience with this that it INSPIRED me to put it together & share it with others who are wired like I was. If this resonates with you and you’d like learn more about REWIRING your Internal Operating Systems to align with your GOALS, PLANS & VISION, I’d love to make it easier for you, so you can be more effective and impactful so you can get more done and stop sh*tting on yourself for not doing more. 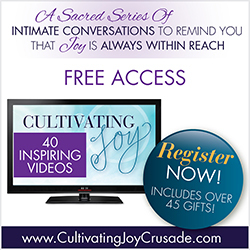 If this speaks to you, I’d love to hear from you. 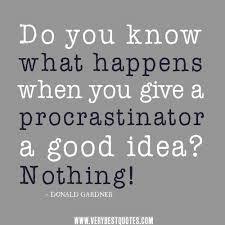 What are you procrastinating on? What have you done to overcome it? Have you been successful? 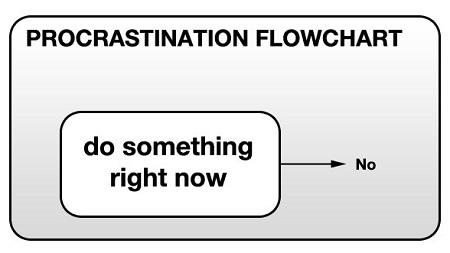 What/who else suffers when you procrastinate? How has procrastination impacted your life, your business, your relationships? Stay tuned for my next blog where I’ll be doing a “Case Study” on someone you know. Sharing the challenges and disappointments that Procrastination caused. Big Hugs and a Big ROAR!!! !